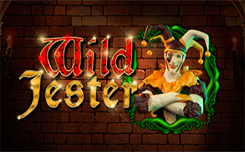 Slot Wild Jester is a new version of the cult slot, joker wield, from the company booming. However, the new game has received some changes in the design and mathematics of the game. In addition, in the new version winning coincidences are considered in both directions, which gives an additional opportunity to collect the best combination and get a good win. The design of the new slot received realistic 3D graphics, the game screen is decorated against a background of a medieval castle, and pleasant music plays in the background. On the game drums there are symbols A, K, Q, J and 10, but the most expensive symbol is the Jester, five identical symbols on one line will bring 4,000 game coins. The symbol Wild is the cap of the buffoon. Scatter symbol is made in the form of a knight in iron armor, he activates the bonus game of free spins. Wild Reel is active both in the main game and in the bonus free-spin game, where on the fourth reel it can fall out, only a wild symbol or a scatter symbol, but more often it is completely filled with wild symbols – this, by the way, has become a hallmark of all new slots company booming. 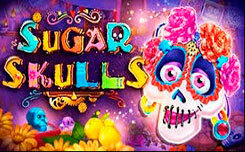 In the bonus game with free spins there are no additional opportunities for scoring, and the player only gets ten free spins, but thanks to constantly active 2-Way Pay and Wild Reel functions, you can get a good win. For risk lovers, there is a wonderful Gamble function, with which you can double your winnings by selecting a red or a black suit. To do this, if the winning combination is the same, click on the Gamble button in the lower right corner and choose one of the suits – if the card that was dropped from the deck matches the color, you will double your winnings, but remember, if you do not guess the card, then all your winnings are completely annulled.